For the sake of ease I am not going to put the word organic in front of every ingredient but DO USE organics where ever you can. The nutrients in organics have been proven more dense (aka more vitamins, minerals and good stuff for your body) and using organics limits your exposure to pesticides. Hooray! I've never met anyone yet who prefers a hot cuppa pesticide soup. I totally understand that sometimes cost is a factor where organics are concerned. We often buy conventional avocados for that very reason. Refer to EWG.org for their list of most + least contaminated produce called The Dirty Dozen + Clean Fifteen. Remember to put LOVE into your food! Use cooking time as a time to create new rituals in the kitchen! Light a candle, put on a great playlist and have FUN chopping and stirring and sipping! Laugh while you're cooking. Whisper loved ones names and think of your happy place. I'm totally serious. There's a magic to cooking with love. You and your family will taste the difference. Lastly, foods create moods and these soups are all intended to help you feel amazing! 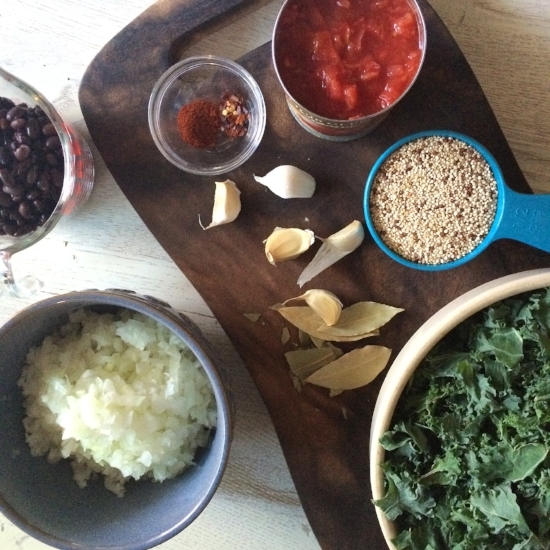 Each recipe I share has been curated with the season and your health in mind. My hope is that you'll feel the love I've put into them and that you'll find a few keepers to add to your rotation of home cooked meals. I fell in love with capsule wardrobes! Seriously IN LOVE!